The Centers for Disease Control and Prevention (CDC) recently reported that three states have had a significant increase in the number of people diagnosed with hepatitis B. 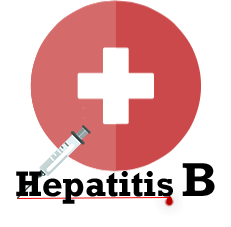 It is believed that this phenomenon in West Virginia, Tennessee, and Kentucky is due to an increase in injection drug use (IDU) and needle-sharing. Between 2009 and 2013, the rate of acute hepatitis B jumped by 114 percent, though it was stable in other parts of the country. Injection drug use was believed to be a contributing factor in about 75 percent of the cases since 2010. Additionally, the CDC reported in July of last year that hepatitis C is also quickly becoming a problem in this part of the southern United States, especially among people who are injection drug users. Between 2007 and 2012, the rate of hepatitis C infections tripled in these three states – in about 73 percent of these cases, individuals reported that they used needles to inject drugs. What Do Painkillers Have to Do with IDU and Hepatitis? Though it is possible to crush most painkillers, then dissolve the resulting powder in water and inject the solution, it is far more common for people who regularly use needles to use heroin as their drug of choice. So what is the connection between painkillers and the rates of hepatitis through IDU? In rural areas like West Virginia, Kentucky, and Tennessee, high rates of painkiller abuse and addiction became a problem in the first decade of this millennium. Around 2010, it became apparent that the issue had reached epidemic proportions, and government and medical agencies stepped in to identify medication fraud, making it more difficult for people living with a painkiller addiction to get the pills necessary to maintain that addiction. Many turned to another drug that was also an opiate and thus easily replaced painkillers: heroin. As painkiller abuse and addiction decreased, rates of heroin abuse increased significantly – and along with it, rates of hepatitis. A great deal of work has been done to make Americans aware of the problem of opiate abuse in all its forms. A HuffPost/YouGov poll found that 49 percent of Americans acknowledge that heroin use is a “very serious” issue in the US while about 38 percent deem it to be a “somewhat serious” problem. Additionally, 33 percent of the poll respondents said that they knew someone who struggled with opiate addiction, and about 50 percent report that heroin use in their community is as serious of a problem as it is in other parts of the US. Awareness is an important part of the equation when it comes to managing such a widespread issue. Communities that recognize that opiate addiction is a problem can provide prevention campaigns in the schools and other public venues, offer drug take-back days, and support families in connecting with treatment when needed. Families that know the signs can identify the problem in its early stages and connect a loved one with treatment. Individuals who learn that opiate addiction is a rampant issue may feel less alone and more likely to seek treatment. These guidelines would not impact the treatment and care of patients living with terminal cancer, and would serve to help identify those who are currently struggling with opiate addiction so doctors could connect those patients and their families with the appropriate treatment. In addition to the grassroots movements that would serve to cut back on new cases of opiate addiction, there is a push to increase funding for treatment from the White House. President Obama proposed allocating $1 billion in new funding for that purpose, according to USA Today. Increased access to medication-assisted treatment (e.g., methadone maintenance) and medical professionals who specialize in substance abuse treatment, as well as assistance that would empower people to enroll in and complete treatment, is included in his proposal. Much of this funding would be given to state governments to help them fund state-run medication assistance programs for opiate addiction, which would in turn allow states to lower the costs of these services for people who need them. What changes do you think should be implemented to positively impact the opiate addiction that is popping up across the nation? Leave a comment and share your thoughts.